Product prices and availability are accurate as of 2019-04-22 23:39:46 UTC and are subject to change. Any price and availability information displayed on http://www.amazon.co.uk/ at the time of purchase will apply to the purchase of this product. Highly-detailed Game of Thrones House Stark sculpted design. 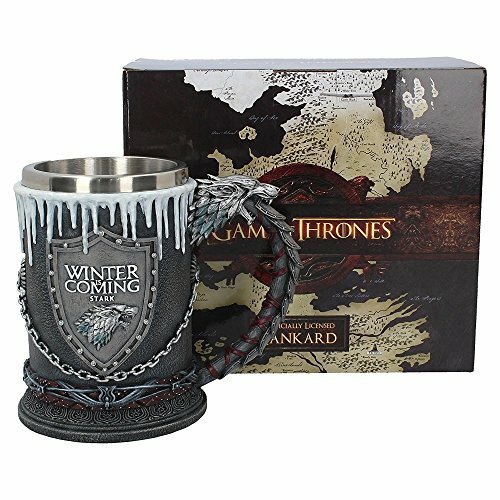 Show your allegiance to the King in the North with this fantastic Stark tankard. Rising from an imposing black base, the bottom of the tankard is ringed by a studded leather strap and metal bars holding it in place. 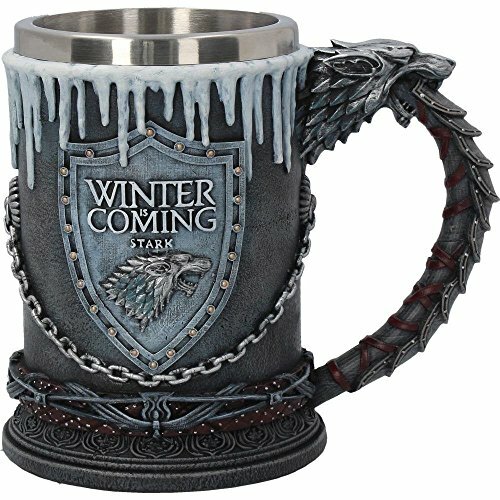 The sides of the tankard have grey shields, each bearing the house sigil of a dire wolf and the motto "Winter is Coming". Chains hang down below the shields, anchored to rivets between them. The truth of the motto is illustrated by the frozen icicles hanging down around the steel rim. Curving up from the base, the handle is shielded by segmented plates of armour, held in place with thin leather straps, before entering the mouth of an imposing dire wolf. 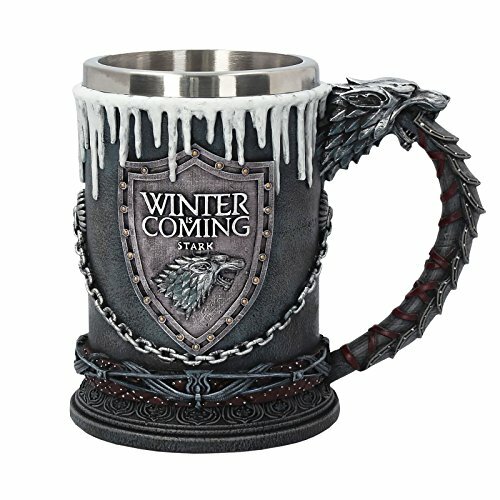 Cast in the finest resin before being lovingly hand-painted, this tankard comes with a removable stainless steel insert for ease of cleaning.